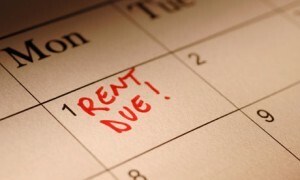 here are ten tips to ensure you always get your rent. Don’t rent to a tenant who may struggle to pay. Stick to the 33% rule: if the rent is more than 33% of the total household income the tenant is at high risk of falling into arrears. Be very clear about your expectations and ground rules from day one. Spell out exactly what you expect in terms of rental amount, payment date and frequency, what is covered by the rent, penalties for late payment, breach process, and all the relevant procedures. Make sure your instructions are clear and non-negotiable – and give them to your tenants in writing. Go through the document with them verbally before they move in. Give your tenants a rent due date calendar at signup – but also send text or email payment reminders before the due date of payment. Set your tenants up on a direct debit if possible. If this is not possible, get them to schedule a regular, automatic payment online. If necessary, physically help them to do this. If your tenant receives a benefit, use the Centrepay service (Centrepay is a free and voluntary bill-paying service for customers receiving Centrelink payments). Don’t accept cash payments if possible. Avoid multiple rent payments from share tenants – insist on a single payment. Also, never accept part payments if a tenant or share tenants fall behind. Always enforce your rules around late payment. If you are entitled to issue a breach, do so – it can always be rescinded. Give a tenant notice to vacate on the 15th day that they get behind with the rent. Don’t give them any slack and don’t let emotions get in the way of a business decision. Do not renew the lease of a tenant whom you have constantly had to chase for arrears. Keep all communications in writing (in case of legal action) and be meticulous with your records. Previous PostSafety Tips for Rural LivingNext PostSwimming Pools – Added value or Limited appeal?